The Royal British Legion has suspended its work with the sales promotion company Magnum Direct after a Mail on Sunday investigation found a paid fundraiser claiming to be an unpaid volunteer, donors potentially being misled about the use of their money and fundraisers being told to ignore "no cold caller" notices. The Fundraising Standards Board is also understood to have launched an investigation into Magnum Direct, and the Institute of Fundraising revoked the company’s status as a corporate supporter of the membership body after the story was published in yesterday’s newspaper. The RBL has also launched its own "urgent investigation", saying it took the allegations extremely seriously. The newspaper’s report alleged that door-to-door fundraisers from Magnum Direct who were asking people to sign up to a monthly £4.34 direct debit to the RBL’s Poppy Lottery said they were raising £3.5m for a rehabilitation centre for injured troops when the money was destined for the charity’s general funds. The Mail on Sunday also alleges that Magnum Direct’s team manager Dave Jones told the newspaper’s undercover reporter that he informed members of the public he was an unpaid volunteer unless specifically asked if he worked for an agency. Jones also allegedly told the reporter to ignore "no cold callers" signs. Professional fundraisers are required by law to tell donors that they are contracted and will receive a fee from any donations under the Charities Act 1992. A rule forbidding fundraisers from approaching properties displaying "no cold caller" signs was approved by the IoF in June but does not come into effect until 1 September. A spokeswoman for the RBL said in a statement that once the charity’s investigation was complete, it would take appropriate action and would continue to ensure that all its suppliers conform to the highest standards in fundraising practices. Saranga Vashi, operations director at Magnum Direct, told Third Sector that many of the issues raised in the MoS's investigation had already been addressed. She said the company held a conference call with all of its staff regarding the matter at the weekend and had met the RBL this morning. She said the MoS reporter spent three days working at the company last week and that it was informed about the article late on Friday evening, at which point she said the company suspended Jones while it carried out an investigation. She said the company planned to put additional training into place for staff. In a statement, she said: "Magnum Direct is committed to upholding high standards and we are approaching this in a pro-active way. We have decisively initiated new policy, training and accountability measures in our organisation to ensure there is no repeat of this highly disappointing incident." Peter Lewis, chief executive of IoF, said: "All members of the Institute of Fundraising – including corporate supporters – sign up to adhere to the Code of Fundraising Practice. As a result of the Mail on Sunday’s investigation, we have today formally notified the FRSB of these allegations and asked them to investigate. While this investigation is under way, we are revoking Magnum Direct Limited’s status as a corporate supporter of the IoF." Other charity clients listed on the Magnum Direct’s website include the children’s hospice charities Shooting Star Chase and Helen and Douglas House. 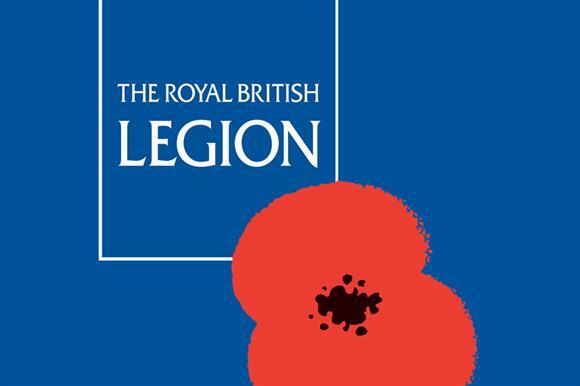 The website says tha company has worked with the RBL since April 2008 to recruit players to the charity’s weekly Poppy Lottery through door-to-door selling and shopping centre promotions.